The Radeon HD 7970 also adopts the PCI Express 3.0 standard (which ensures a large, healthy bandwidth), and implements the PowerTune and AMD ZeroCore Power technologies that allow for ‘higher performance levels while maximizing power efficiencies’. Spec wise, the HD 7970 offers 2048 Stream Processors, 128 TMUs, 32 ROPs, a core clock of 925 MHz, a 384-bit memory interface, and 3 GB of GDDR5 memory clocked at 5500 MHz. AMD’s card also packs a dual-slot cooler which uses vapor chamber technology, has CrossFireX support, and includes four display outputs (Eyefinity is obviously present) – one dual-link DVI, one HDMI 1.4a and two mini DisplayPort 1.2. 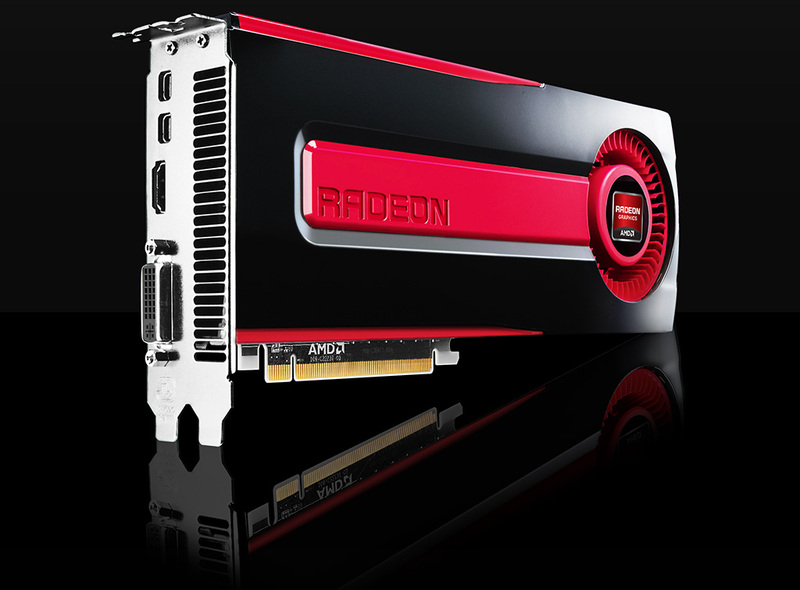 The Radeon HD 7970 has a recommended price tag of $549 and is expected to become available as of January 9, 2012. For the full scoop on the very first 28nm card be sure to check out the review found here. Next Generation AMD Eyefinity technology: AMD Eyefinity 2.0 features all-new support for stereo 3D, universal bezel compensation, brand new display configurations and an expanded and more immersive field of view. This allows users with 2560×1600 monitors in an AMD Eyefinity 5×1 landscape configuration to achieve a horizontal resolution of 12,800 pixels, driving more than 20 million pixels of screen real estate. More than 70 game titles have been AMD Eyefinity-validated, while many are AMD Eyefinity-ready, and hundreds more are AMD Eyefinity-compatible. The AMD Radeon HD 7970 is available January 9, 2012 from retailers worldwide, with select models starting at $549 US SEP.